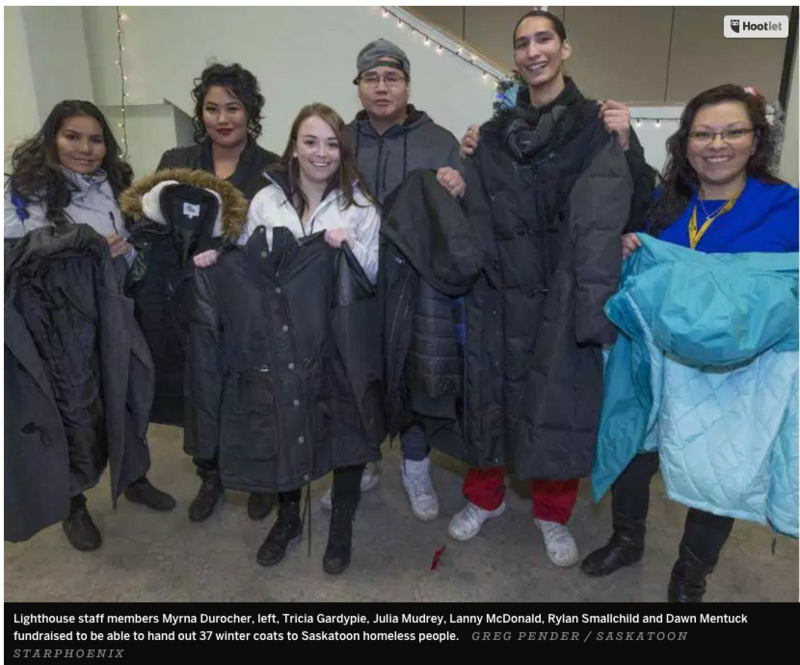 More than 30 homeless people in Saskatoon have warm new winter coats, thanks to a small group of young aboriginal people. “I felt really good. I knew these people, I work with these people every day, and to see the looks on their faces and their gratitude, it was an awesome, awesome feeling,” said Dawn Mentuck, a stabilization unit support worker at The Lighthouse, Saskatoon’s downtown shelter. This is the third year the group has set out to help people in need over the holidays, Mentuck said. They include Matreaca Munro, Myrna Durocher, Tricia Gardypie, Julia Mudrey, Lanny McDonald and Rylan Smallchild. Mentuck often sees people in extreme need come through the Lighthouse doors. While the city has programs to help, such as free meals at the Friendship Inn, homeless people have trouble finding places to pick out clothing they need, she said. The group raised $1,638 at a steak night earlier this month, which bought 26 men’s coats, 11 women’s coats, and a gift card for a woman with three children whose house had burned down. They gave away most of the coats on Sunday, with a few left in the outreach van to hand out. “The reaction was so awesome. Most of the time they would give us big hugs and smiles and big thank-yous — just awesome expressions of gratitude,” Mentuck said. The group dreams of opening another shelter in Saskatoon based on First Nations culture, offering access to elders, drumming, singing and ceremonies, she said. 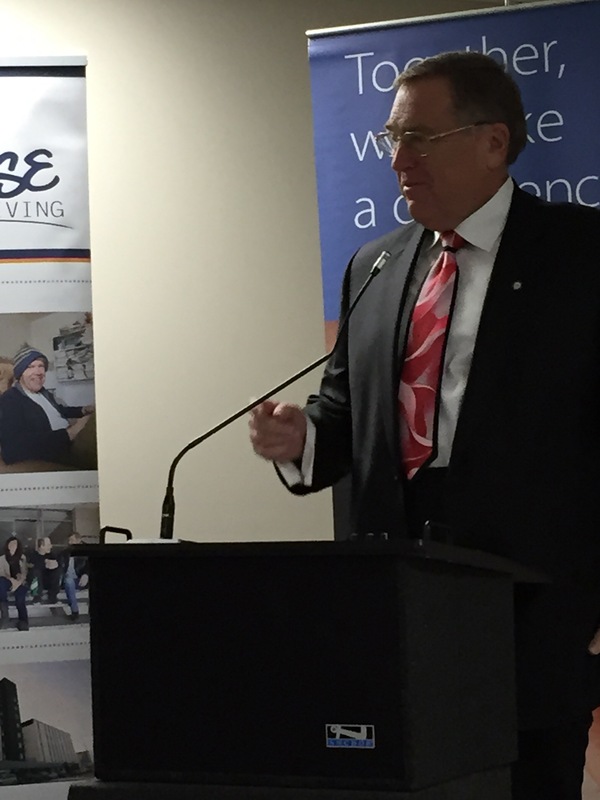 An innovative wellness center at The Lighthouse Supported Living (Lighthouse) officially opened today in Saskatoon. 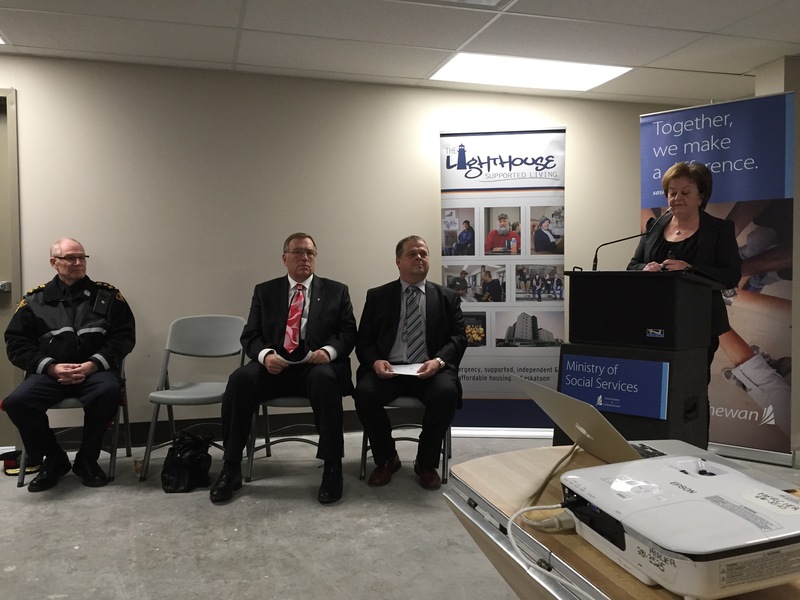 The shelter will provide an alternative for manageably intoxicated individuals who are unable to access other shelter services.Part of the funding is also being used to renovate 59 existing units in the Dubé Lighthouse that provides housing for close to 70 individuals. The Lighthouse Supported Living Inc. operates the Dubé Lighthouse facility. The total cost of this project is $4 million. Funding of $1.5 million from the government was provided by the Ministry of Health ($1 million), the Ministry of Justice ($250,000), and the Ministry of Social Services through the Saskatchewan Housing Corporation ($250,000). 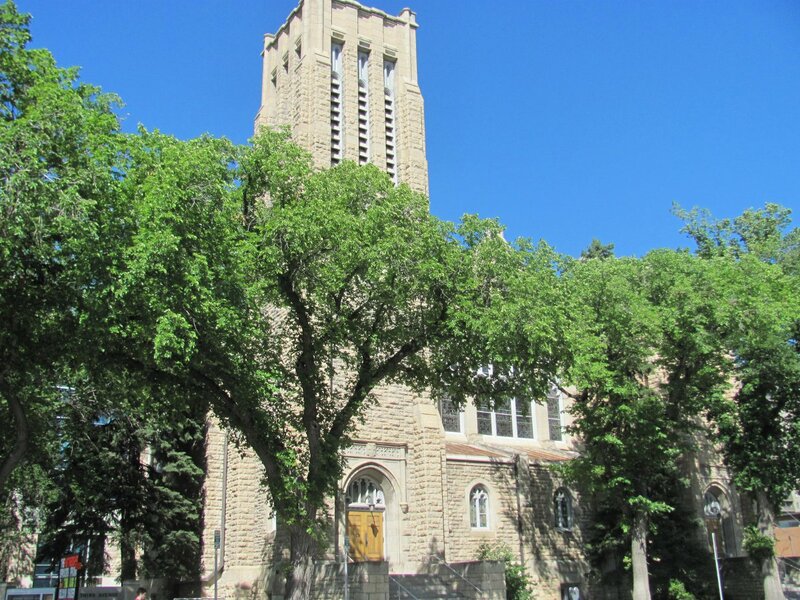 The City of Saskatoon contributed $126,000 toward the project and additional funding was provided through the Homelessness Partnering Strategy and other fundraising. The project features a stabilization shelter with approximately 38 beds for individuals who are manageably intoxicated. The second floor provides programming and office space, and the third floor features a wellness center with exercise facilities and atrium. Since November 2007, 167 affordable rental units have been completed by the province for those considered ‘hard to house’ and facing multiple challenges such as disabilities and addictions in Saskatoon. Including the Lighthouse, an additional 40 units are currently under construction. The Lighthouse provides housing for approximately 230 individuals on any given day. 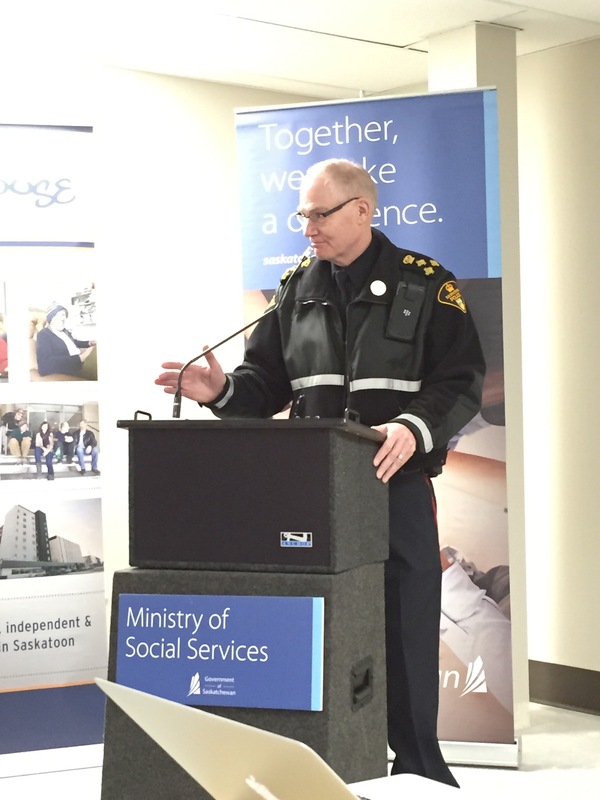 It provides 126 permanent housing units and about 94 emergency shelter spaces for vulnerable individuals, including the working poor, people with physical or intellectual disabilities, and people with addictions.